What makes it special: Changes for the 1968 Dart model were relatively subtle. The park and turn lights in the grille were moved slightly inboard and made round. Side marker lights were added to the front fenders and rear quarter panels, to comply with newly introduced Federal Motor Vehicle Safety Standard 108. Shoulder harnesses were separate this year and until 1973, from the lap belts and non-glare matte finish on the windshield wiper arms were also part of the 1968 federally mandated safety package. Chrysler’s “Clean Air Package” emission control system became standard equipment on cars sold in all 50 states. What made it famous: In late 1967, the GTS model debuted but was built in limited quantities due to its lateness in the model year; the 1968 GTS would be, arguably, improved by fitting the new high-output 340 cu in V8 as standard equipment. 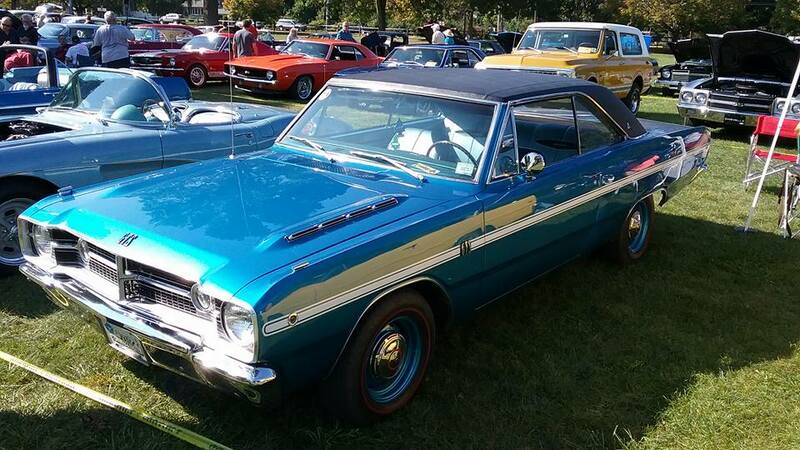 The 1968 Dodge Dart is an important part of the 1960’s Mopar legacy because the GTS street models held their own. Standing for GT Sport, this was the top dog in the Dart line-up, and remodeling of the prior year resulted in the availability of the B-series big-block powerplant. The 383 Magnum was the biggest engine the factory offered in a generally available Dart model in 1968. Why I would want one: I’ve always been a huge fan of car models that were intended for economy, then transformed into factory street machines due to the installation of large V8’s. Fun fact: The Dart name originally appeared on a 1957 show car featuring a body designed by the Italian coachbuilder Carrozzeria Ghia.